"Great Job Aaron and Dhruva! Really solid content and packed with useful, tangible advice. Exactly the kind of information I've been looking for related to making money on Youtube!". 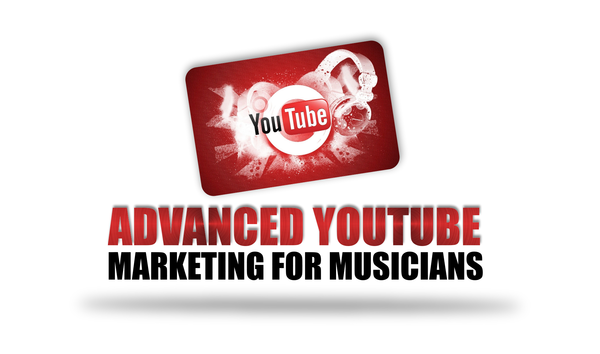 "Advanced Youtube Marketing For Musicians" is a 110 minute course taught by the California based musician Dhruva Aliman and faciliated by Aaron Davison. The course is instantly accessible online and features a 110 minute audio course, multiple samples of videos Dhruva has made that have gone viral, a resource section and more. The course features the most in depth and cutting edge information related specifically to making money from Ad Revenue On Youtube. Composer-Producer Dhruva Aliman creates a musical tale that takes you on a journey to strange places in a fantastic universe teeming with adventure, myth, reflection, and mystery. It is a fantastic world of soundscapes that evoke visions in the mind’s eye, as well as rhythm and beats to dance to. Dhruva traverses the genres of Electronica, Illbient, Breakbeat, Trance, Jazz Fusion, Big Beat and Ambient. Each song keeps you guessing what’s on the next page of Dhruva’s musical story book. Exciting Production Music here for action, adventure, games, suspense, dramatic filmscores, movie trailers, commercials, and your grand finale film credits. Dhruva's Youtube videos have been viewed hundreds of millions of times over the last several years. Dhruva's Licensing Credits include- Keeping Up With the Kardashians (E! Entertainment), American Idol (Fox), Pawn Stars (History), Rocco's Dinner Party (Bravo), Fashion Hunters (Bravo), Last Call w/Carson Daly (NBC), Russian Dolls (Lifetime), Young, Broke and Beautiful (IFC), American Pickers (History), Homicide Hunter: Lt Joe Kenda (Investigation Discovery), Brain Games (NatGeo), Real Housewives of Atlanta (Bravo), Amazing Wedding Cakes (WE T.V. ), skiing documentary- In Deep (Matchstick Productions), Sanjay and Craig (Nickelodeon), Dead Again (A&E), Moonshiners (Discovery), and Nokia. 1) 110 minute, two part audio course - stream online or download to listen when and where you'd like. 2) Samples of Dhruva's videos that have generated millions of views. 3) Samples Of Dhruva's music. 4) Supplemental section with related websites and resources.